We're always adding exciting new products for you to check out. Learn about all of them here. The 510ACS is the system of choice for airports, large healthcare and government facilities, and command centers where a large scale system is required to support a large number of paging stations, zone outputs, and message traffic. The 510ACS may operate as a centralized head end or as multiple systems distributed over the network. For legacy ACS installations, contact IED to discuss if digital or analog equipment may be best suited for your scope of work. Titan series DSP power amplifiers and collectors are network appliances that provide signal processing, modular power amplifiers, and supervision testing. The Titan series is designed to move signal processing and power amplifiers to the edge of the network for greater flexibility, higher reliability and lower installation costs. When controlled on the network by an IED announcement controller or DSP node, the Titan series places amplifiers close to speakers and collectors close to sensors to reduce costly cabling. 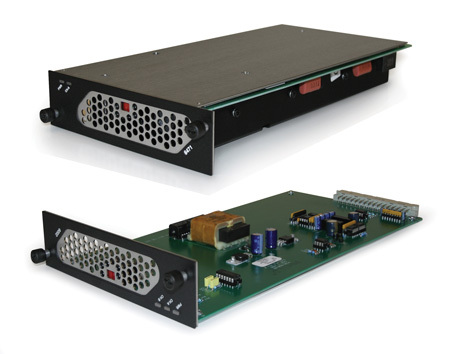 All IED power amplifier systems are designed with high efficiency Class D operation for low power consumption and reduced cooling demand. The T9160 is the world’s first networked processing amplifier system. Designed for installation at the network edge, the T9160 provides a network interface, digital signal processing for 16 channels and facilities for 8+1 Titan amplifier cards. All amplifier control, audio supervision, and audio monitoring are provided with a single Ethernet connection. Designed to integrate with a networked 510ACS. Each channel provides equalization, level control, delay, ambient analysis, monitoring and automatic testing. Channel audio is distributed with CobraNet® and IED’s dynamic channel addressing. 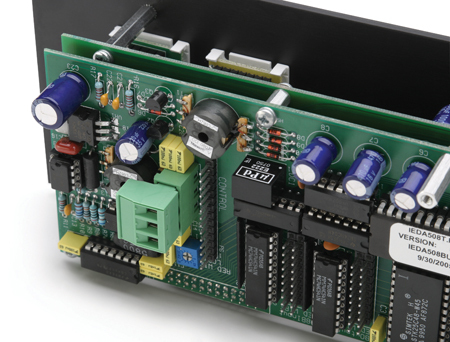 Ninth amplifier card slot accommodates a backup amplifier card for automatic backup amplifier switching. 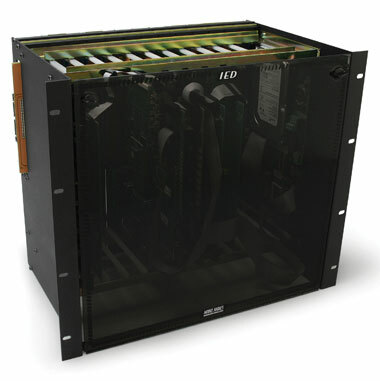 The T6400 is a two-card amplifier mainframe designed to accept Titan series power amplifier cards. The cards may be either single channel 400-watt or dual channel 200-watt units. The frame provides analog audio inputs and outputs for monitoring fan speed, temperature and logic status. No signal processing is provided in this frame. 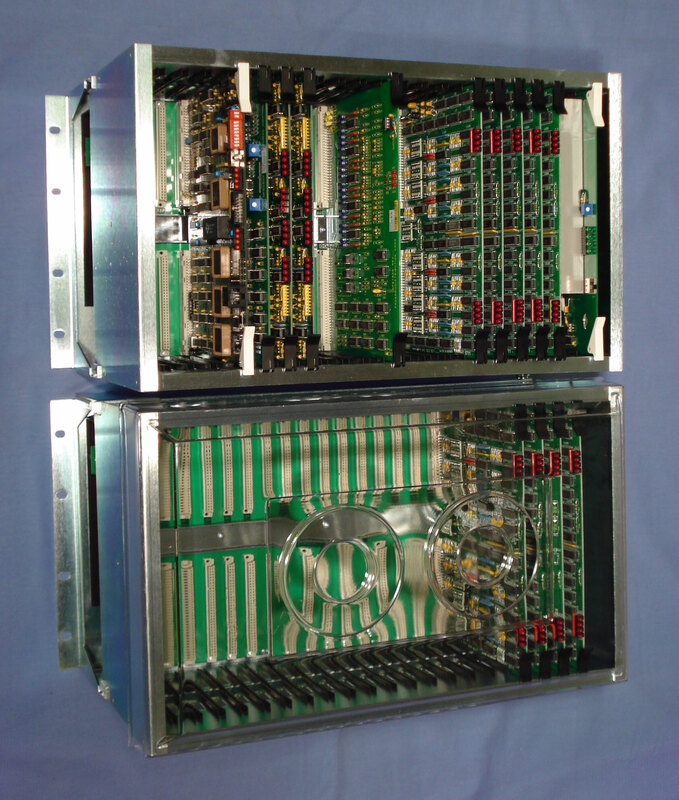 Titan Power Amplifier Cards are designed to plug into Titan T9160 and T6400 amplifier mainframes. They provide high power class D efficiency for multi-channel installations requiring high density and long service life. Cards are available in the following configurations. The T9032NS is an interface unit designed to collect real time noise data from IED 540 ambient noise sensors and deliver that data to the network for use by IED DSP amplifiers. Each collector supports and provides remote power for 32 sensors. The T9032NS is powered from a PoE enabled switch port, mid-span power, or modular power supply. 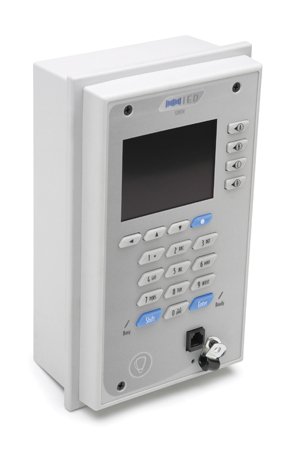 The T9032MT is a 32-input monitor/test point collector. It accepts inputs from analog audio and 596SGFI sensors for connection to local T9160 or T90xDSP. This combination provides automatic testing with reporting and audio monitoring delivered to the network. The T9032MT is powered from a PoE enabled switch port, mid-span power, or modular power supply. 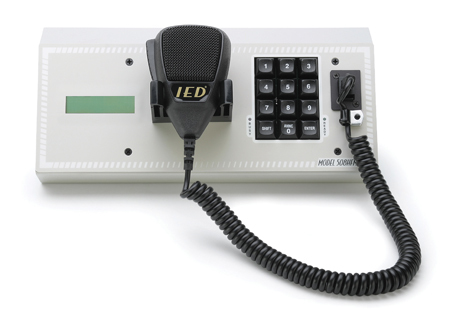 IED Digital Series Paging Stations are designed to operate with 510ACS and Campus Communicator Systems. Digital Series are network devices that connect to the system with a single 100Mbs Ethernet connection providing Cobranet® audio, control, and power. Power may be derived from a PoE switch port, mid-span power, or local modular supply. 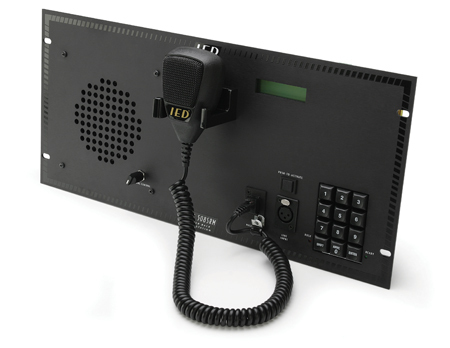 The 528 Series is a full function Digital Communication Station. 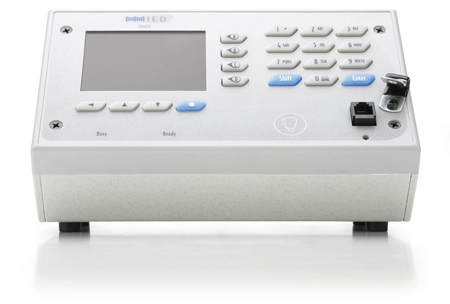 The 528 provides a backlit color LCD display for a simple and flexible user interface. The LCD provides an interactive display for menus, prompting, and labeling of soft function buttons for user friendly operation. 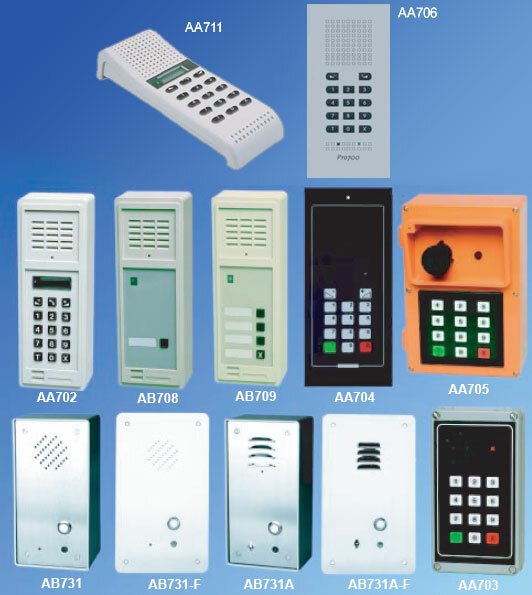 Programmable soft keys and a full function keypad allow either menu directed or direct entry of selection codes. 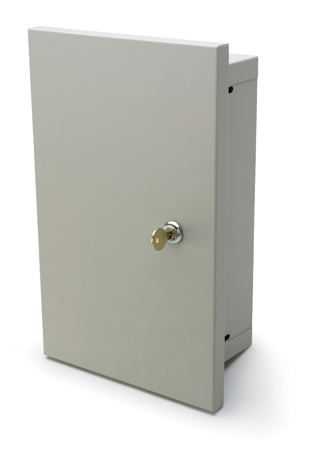 The 520 Series are 8-button paging stations suitable for applications where a limited number of zone selections are necessary or where absolute simplicity of operation is desired. Each of the buttons is programmable for zone group selection, message initiation or other system action. The 528SK is an expansion microphone station for connection to a 528 station. It includes four soft keys that may be programmed independently of the 528 it is connected to. Up to three 528SK’s may be connected to each 528. The 530DNI is a dual channel Network Protocol and Telephone Interface that connects telephone or WAN audio networks to a digital IED system. 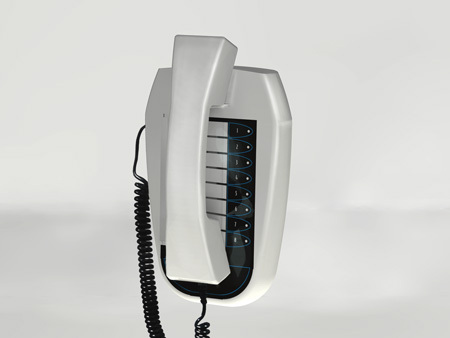 Compatible with standard POTS analog telephone lines and VoIP. Provides incoming call management for selections with query trees and voice prompting. Provides outgoing call management for dialing and message delivery to telephone networks. 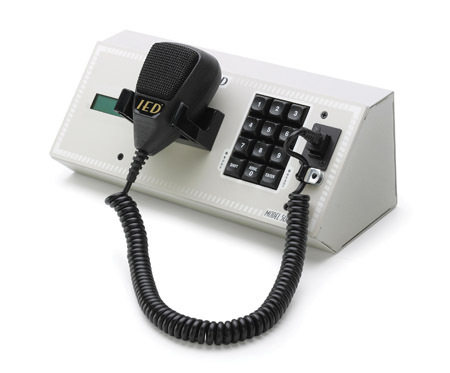 Integral digital echo cancelling for full duplex intercom. 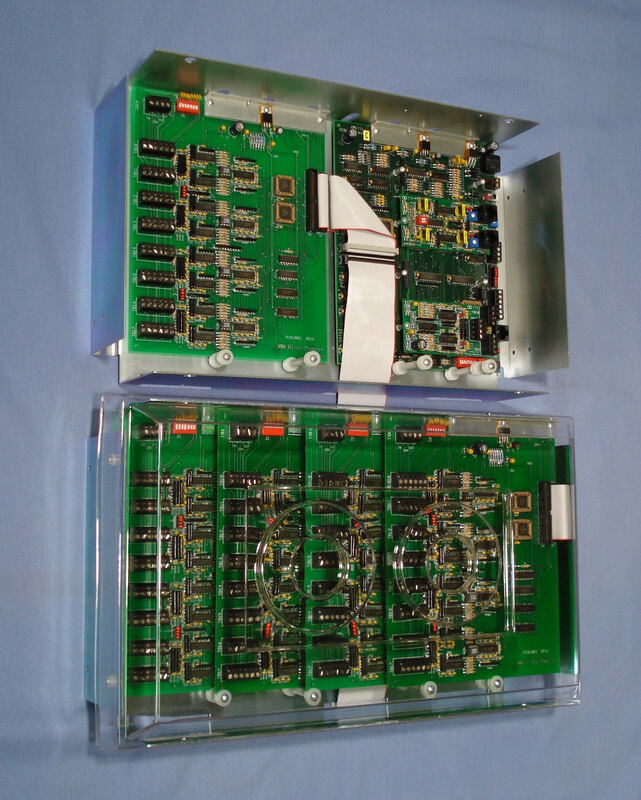 IED Analog Series Paging Stations are designed to operate with 510ACS, 8000 and legacy 500ACS systems. These stations connect to system control and audio input cards using shielded 2/C cable up to 4000’ in length allowing extended connections. Robust construction ensures reliable operation in heavy use environments. 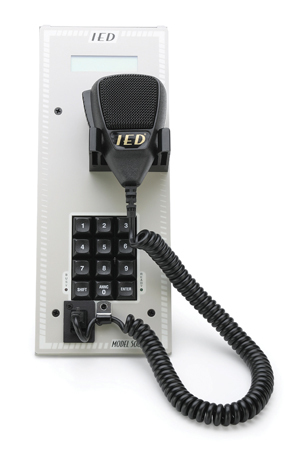 The 508 Series are full function microphone paging stations that include a 10-key pad for selections and an LCD display for annunciation and prompting. Key entry provides zone group selection for announcements, initiation of messages and other programmed system actions. 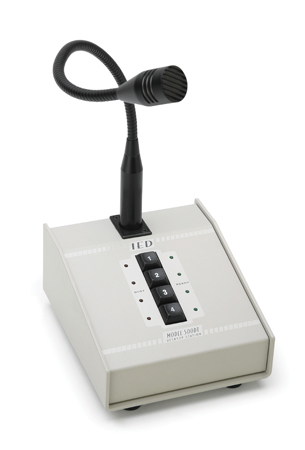 The 500FME-H is an expansion microphone station designed for connection to any 500, 508 or 528 series station. Its control replicates the mic switch default on the station it is slaved to. 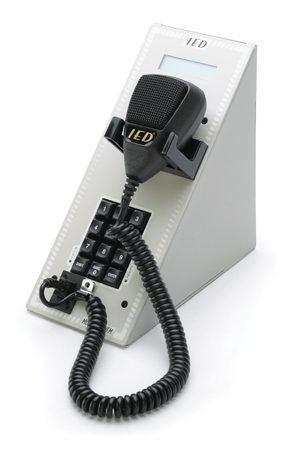 The 508T is a telephone interface for connecting an analog POTS telephone line to an IED paging station input. 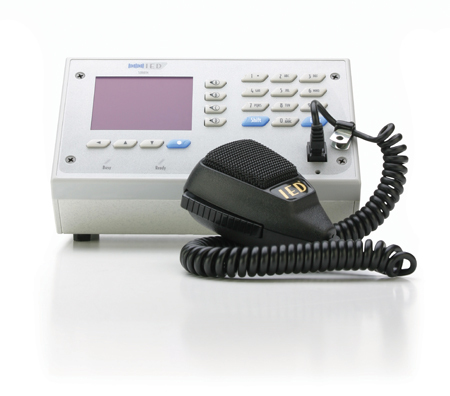 The 508T accepts DTMF codes for selecting paging zones, initiating messages, or initiating other system actions. Available in single or dual channel versions. 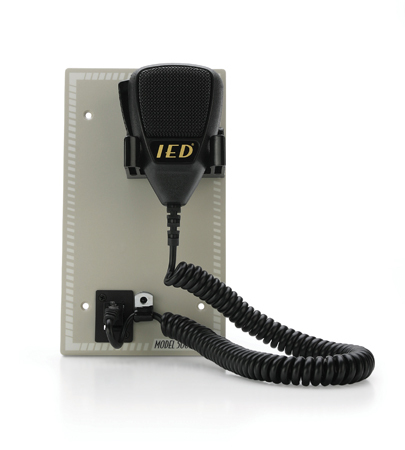 The modular style of IED paging stations provides mounting options for any type of installation including panel orientation, surface mount, flush mount, desktop and locking door stations. The models shown represent only a sample of the available models and boxes. For more information refer to the specification sheets for the appropriate model paging station. 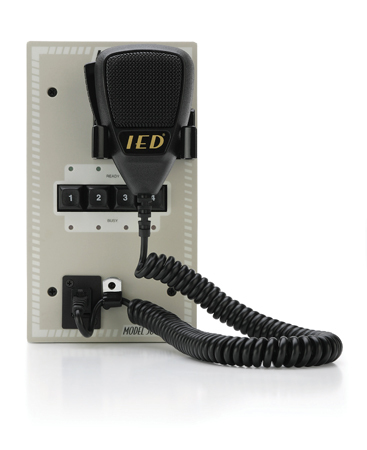 The PRO700 system is a small, decentralized, hands-free intercom system for up to 20 master stations or substations. All stations are microprocessor controlled, providing a wide variety of standard and programmable features. A digital display is also included for stations readout, absence indication, and station call-in ID. Only two pair wire, looped, is required for operation. Program distribution channel is also available on an additional pair of wires. A centralized duplex system that is configured from 2 - 56 stations and 3 speech paths. Modular in concept, this system requires only 2 pair wire from stations, and is equipped with many features that only larger systems normally will offer. Master to master, master to sub, industrial, security, and other station designs are used with this system. Crisis Alert functions are standard. Multiple RM5000/EX and CB901/EX exchanges may be interconnected. Applications include security, industrial, health care, airports, banking, elevator and others. ?? 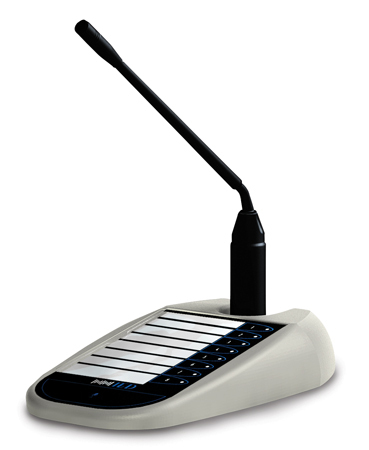 A centralized duplex system that is configured from 8 - 240 stations and 15 speech paths. Modular in concept, this system requires only 2 pair wire from stations, and is equipped with many features that only larger systems normally will offer. Master to master, master to sub, industrial, security, and other station designs are used with this system. Crisis Alert functions are standard. Multiple RM5000/EX and CB901/EX exchanges may be interconnected. Applications include security, industrial, health care, airports, banking, elevator and others. 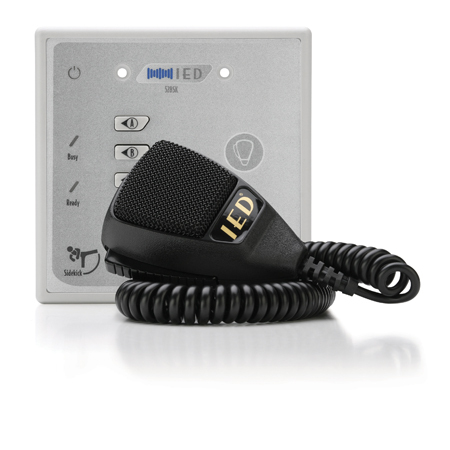 IED created the first system to integrate visual paging with audio paging in 1996. That system was designed to fulfill the requirements of the Americans with Disabilities Act in accommodating individuals with hearing or vision disabilities. Today as visual display technology has proliferated in most public spaces; visual paging is a common and expected customer service. For visual paging to be effective, visual messages must play together with aural messages automatically, without requiring separate initiation or duplication of data entry. Without fully automatic operation, systems are not fully utilized since few users are willing to consistently perform additional steps. 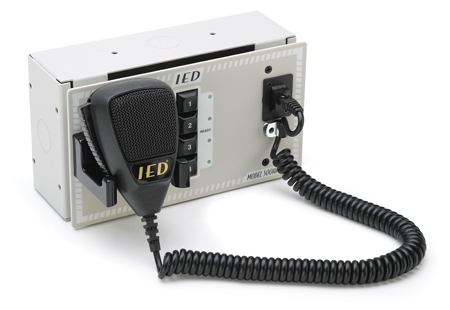 All IED systems are designed to tightly integrate audio and visual announcements with a single system server and announcement controller. 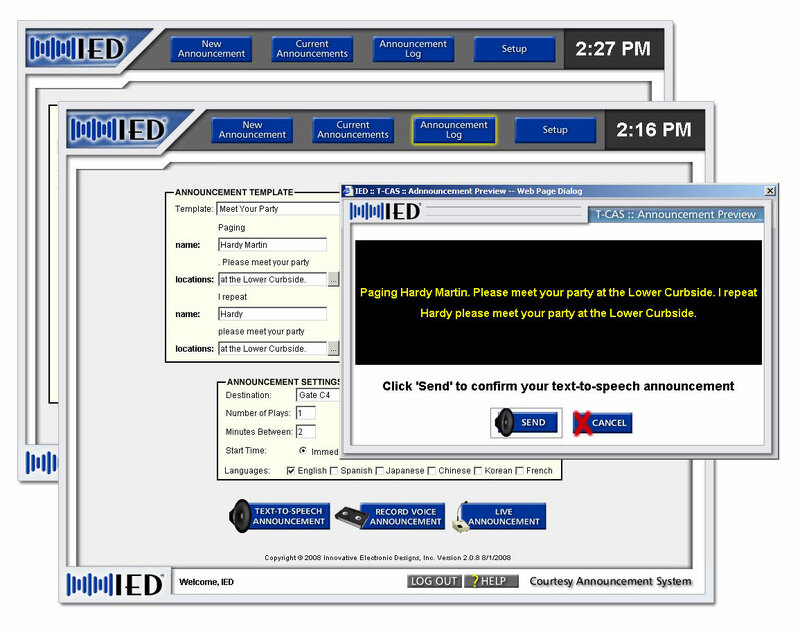 IED’s patented technology allows data display controllers to dynamically control the scroll rate of displays to maintain synchronization of the text and the aural announcement regardless of message length or language. Other technologies that simply start announcements together quickly lose synchronization, and don’t provide the comprehension reinforcement of eye and ear coordination. 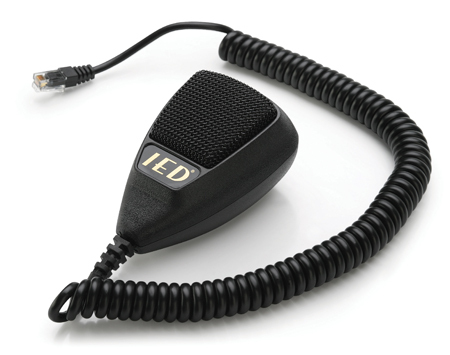 All IED announcement and message applications create visual content to match aural messages.